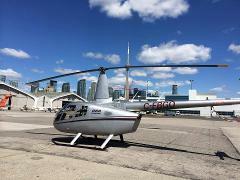 Private Helicopter tour for up to 4 passengers of the town of Collingwood and the Blue Mountain area. 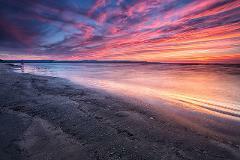 Fly over over the beautiful shoreline of Wasaga Beach, the largest fresh water beach in North America. Spectacular aerial views of Georgian Bay, and the Niagara Escarpment world biosphere reserve. 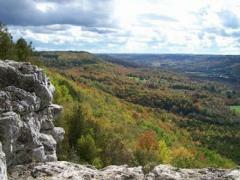 Fly over the Mad River Valley and the town of Creemore, then along the valley of the Mad River and back along the Niagara Escarpment. Over to Lake Eugenia for an aerial view of the famed waterfalls, then over apple country following the beautiful Beaver River to the shore line of Georgian Bay and the Blue Mountain escarpment. 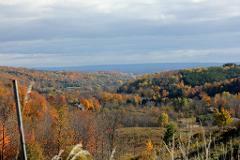 Up the Pretty River Valley to the luscious scenery of the Georgian Hills Vineyards. 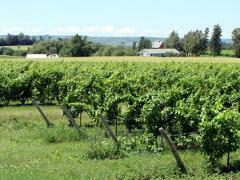 Sample a selection of fine locally produced wines, paired with a variety of cheeses and fruits. 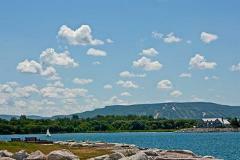 Enjoy the amazing views of the Georgian Bay shoreline to and from the luxurious waterfront Cobble Beach Resort. 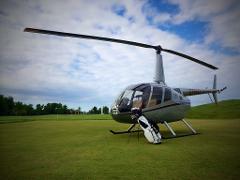 Impress your clients, colleagues or friends by golfing at Cobble Beach and arriving in our charter helicopter. 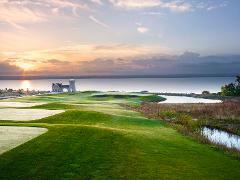 This exclusive package includes a round-trip flight from Collingwood to the waterfront Cobble Beach resort and green fees for 4. The world famous Henry’s Fish & Chips restaurant located on Frying Pan Island in Sans Souci, is only accessible by boat, floatplane or helicopter. We’ll have your party of four on the ground in Toronto in approximately 30 minutes. Don’t worry about traffic, parking or having a cocktail. Shop, take in a ballgame or just see the sights. This package has you in the city for four hours.